Singapore is one of the most expensive cities in the world, with the cost of a holiday in Singapore often a wallet-breaking experience. However, there are still many ways to save money when visiting the city-state. What’s important to know is where to go, what to look for, and what not to do. Consider Tourist passes, Packages, and Online Promotions. Save Money by Shopping at Supermarkets, Neighborhood Centers, and Daiso. Be Thoroughly Informed If You Intend to Buy Electronic or It Products. 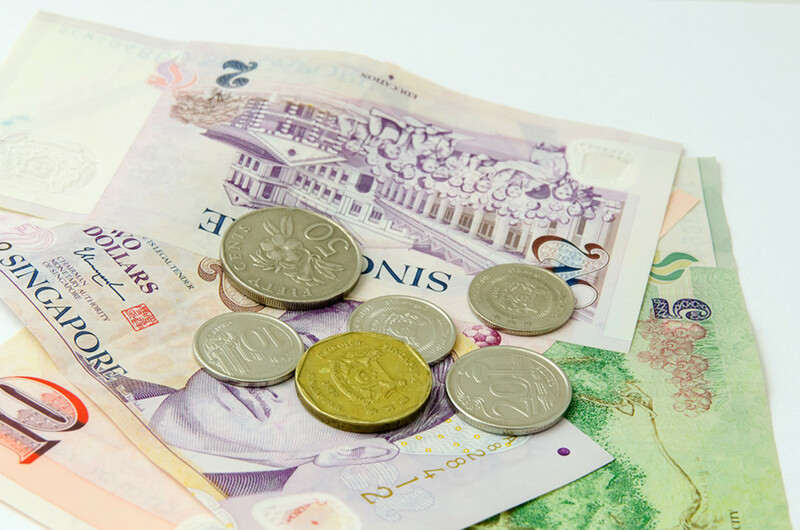 Taking taxis can easily bust your travel budget when visiting Singapore. Other than meter charges, there are all sorts of surcharges for rush-hours and usage of expressways. To put it simply, it’s impossible to enjoy Singapore on a budget if you expect to be ferried about by taxis every day. Instead, save money by using the subway system, known as the MRT. 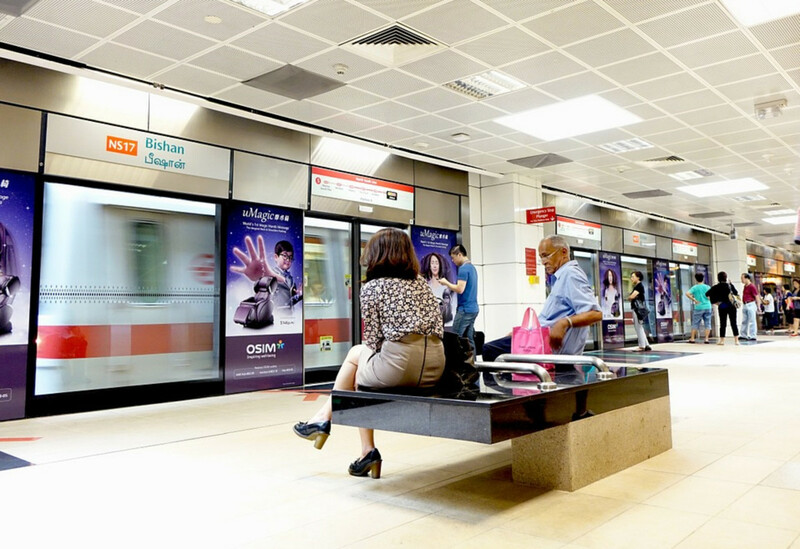 While there have been several high profile breakdowns in recent years, the Singaporean MRT system remains one of the most efficient and affordable in Asia. With the exception of the zoological area *, practically all major attractions are reachable by the MRT without the need for bus transfers. During evening peak hours it is also well known that it is much, much faster to transverse town by MRT, rather than go by taxi. * As of 2018, the Singapore Zoo offers a shuttle service from five MRT stations. Singapore's MRT system is clean, efficient, and inexpensive. Use it to save money on transportation. It’s rare, but there have been incidences of taxi drivers not going by the meter and offering lump-sum deals. This is illegal, with prices quoted always cutthroat. If this happens to you, get out of the taxi immediately. 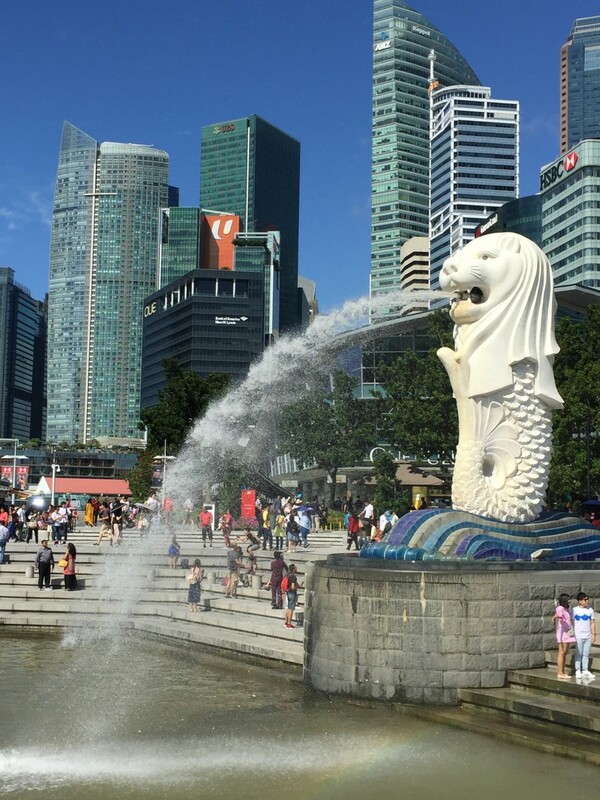 Like all cities geared toward tourism, there are many discount packages for tourists to save money with during their Singapore holiday. 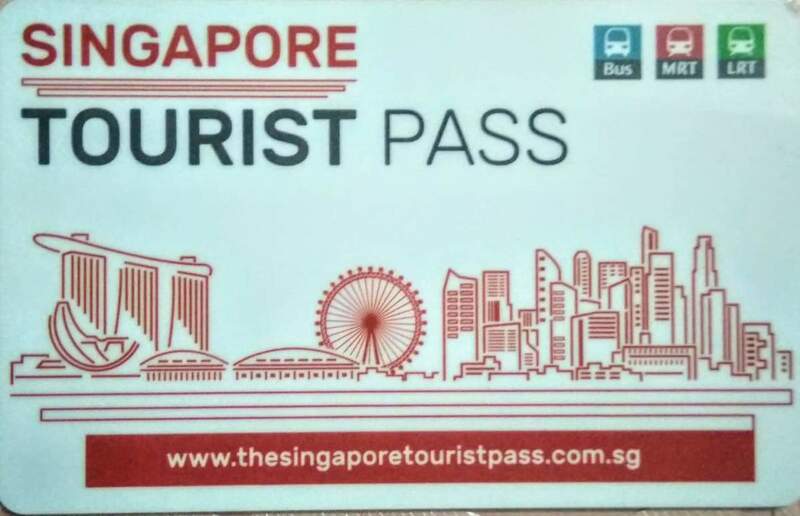 The Singapore Tourist Pass is a tap-and-go smart card* that offers unlimited travel on the country’s bus, MRT, and LRT systems for the duration that it is valid for. The single-day version is priced at 10 dollars while the three-day version is at 20 dollars. (2018 prices) Naturally, and like all such transportation passes, you do need to take a certain number of rides within a day for the pass to be worthwhile. Personally, I would put the minimum number of rides per day to achieve “break even” at four to five rides. 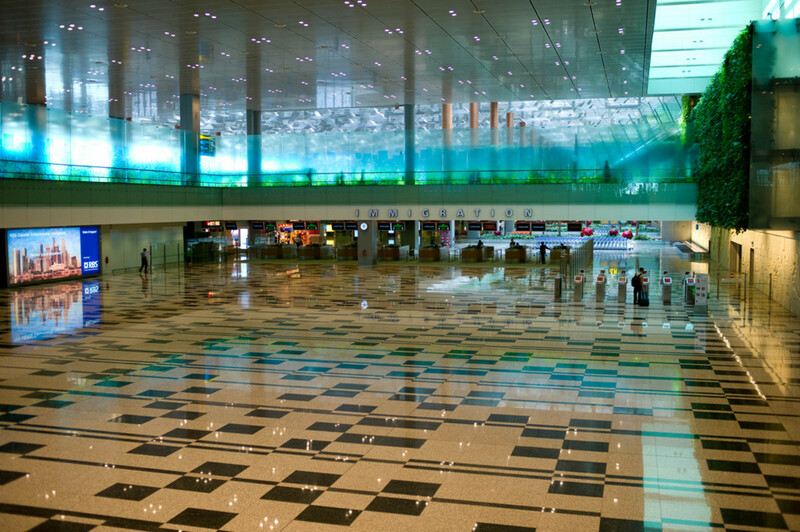 Visitors looking for an even better deal could consider the Singapore Tourist Pass Plus. This enhanced version waives the need for a rental deposit and comes with several tourist perks. 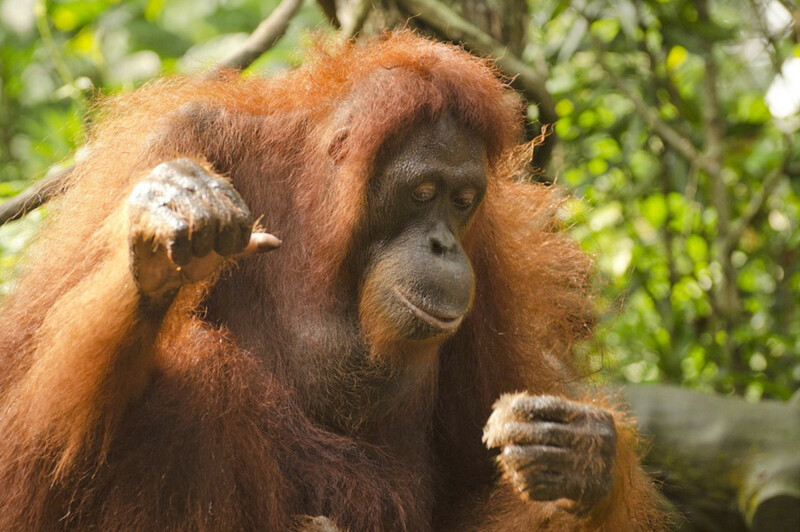 The ParkHopper packages for the Singapore Zoo are great value too as they include not only the “day zoo,” but also the Bird Park, the Night Safari, and the River Safari. Individually, the day zoo alone cost near the half the price of the overall package. Getting a pass also, of course, removes the hassle of having to queue for tickets again and again. To put it in Singapore street parlance, the ParkHopper “covers” for the day. Lastly, some attractions offer discounts for online purchases. As of this time of writing, the Singapore Zoo is offering a 25 percent discount for online bookings. Such discounts could add up to incredible savings. * Locally, the transportation smart card used with public transportation systems is called the Ez-Link. Fret not, ye with limited funds. You can enjoy me, and the rest of Singapore, at a discount. This might sound strange as a budget travel tip, but know that bottled water in Singapore could cost anything from a dollar to well over 10 bucks for an artisanal bottle. With that in mind, why deplete your travel budget on those when tap water is perfectly safe for drinking? Unlike treated water in some other countries, Singaporean tap water is also completely colorless and odor free. With the weather constantly hot and humid, you might wish to carry a tumbler with you while exploring Singapore’s attractions. These could easily be topped up from the tap. Some restaurants would also be willing to fill up for you. Food prices could vary dramatically in Singapore. For example, you could enjoy a plate of fried Hokkien mee for four dollars at a casual eatery. At a swanky establishment, the same dish could cost forty dollars. For this reason, save money by having most of your meals at food courts. 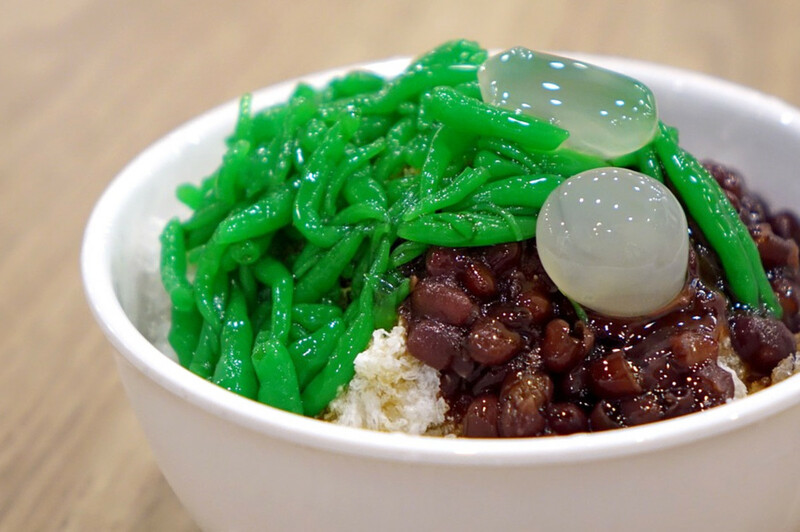 These are air-conditioned, self-service eateries located all over the country, and all offer a huge variety of Asian and Western dishes at affordable prices. For even cheaper meals, venture out of the town area to the country’s famed hawker centers and kopi-tiams. 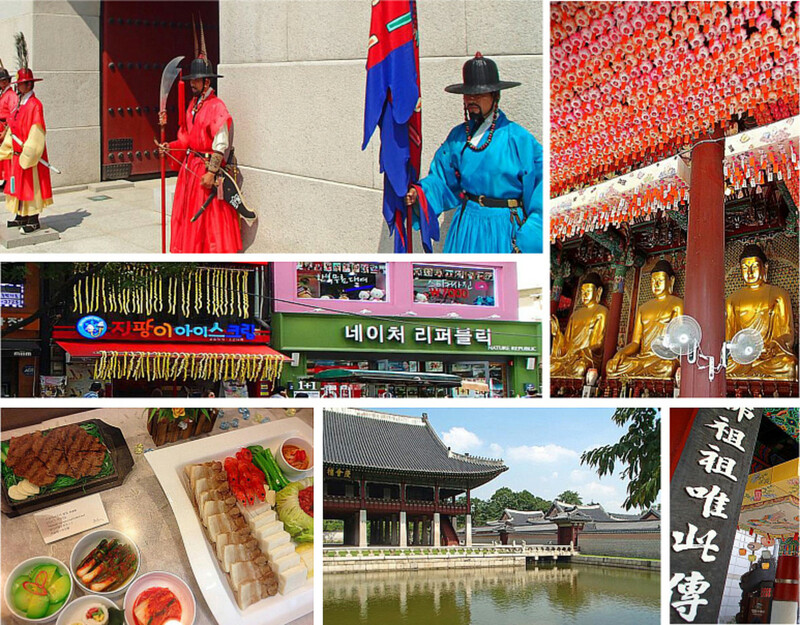 For the unfamiliar, these are informal, open-air eateries mainly catering to locals. Not only is food extremely affordable at these places, they are also fabulous locations for enjoying the local ambiance. Note: Some hawker centers stalls are extremely popular with locals. 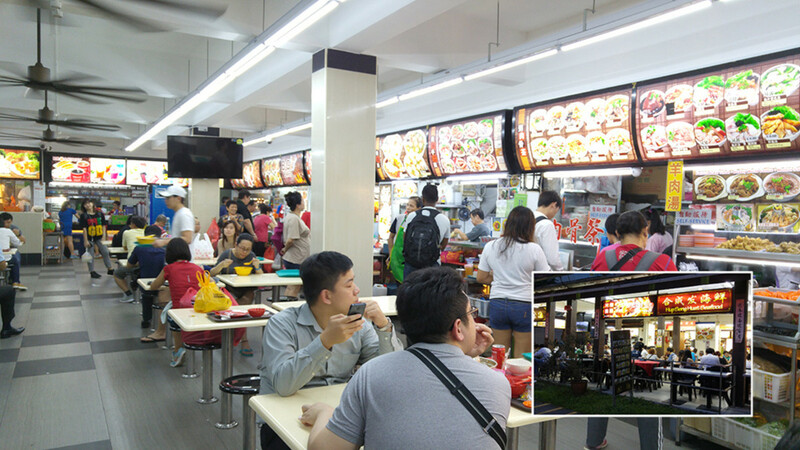 It is not uncommon for Singaporeans to queue for hours at these stores for a ten-minute meal. Do some online research in advance so that this budget tip doesn’t become a time horror. 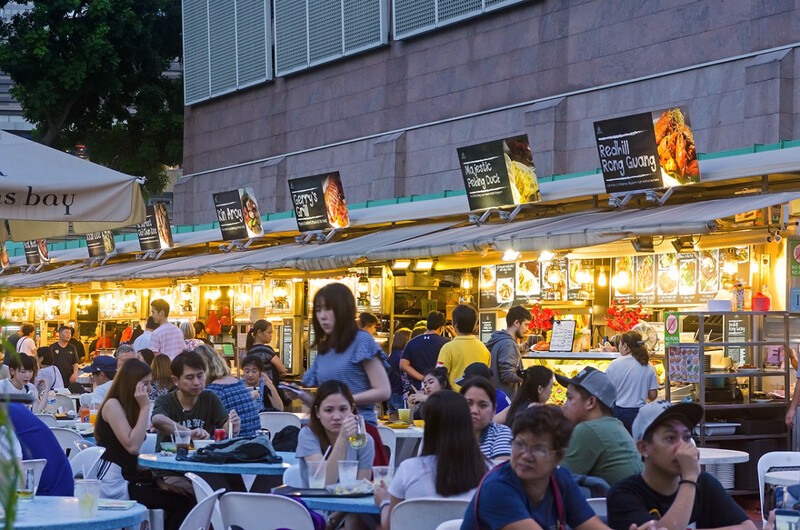 Experienced budget travelers know that food courts, hawker centers and kopi-tiams are the best places to sample Singapore's many cuisines affordably. A typical kopi-tiam. Ten dollars can go a long way at these local eateries. You don't necessarily have to travel to the residential areas for hawker centers. Makansutra Gluttons Bay is located right beside Marina Bay, next to Esplanade, Theatres on the Bay. 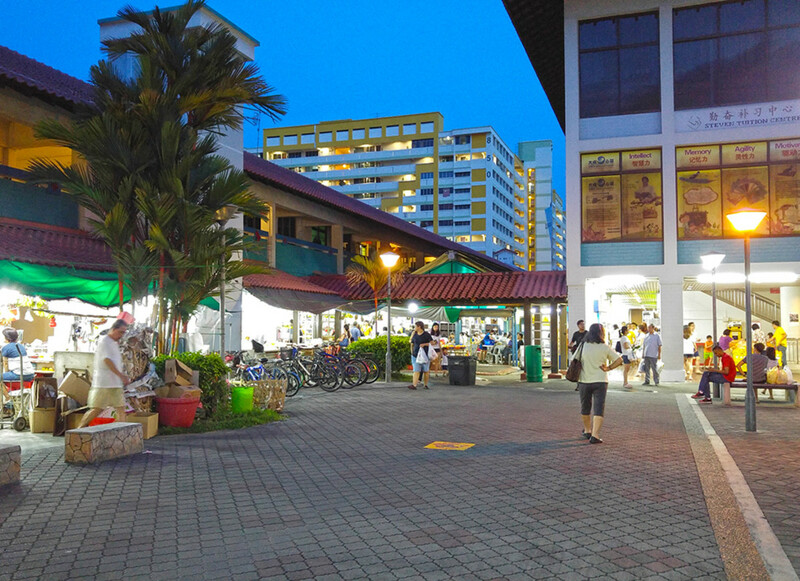 A venerable hawker center is conveniently located in the heart of the Chinatown district. Right behind Singapore's famous Buddha Tooth Temple. Not only is food incredibly cheap here, some of the stalls are considered to be the best in the country. Alcohol is frighteningly expensive in Singapore. You could be charged over 10 bucks for a beer, far more for hard liquor. While I wouldn’t suggest completely avoiding alcohol during your Singapore trip, the cost of your holiday is going to sky rocket if you insist on having a few swigs at a watering den every night. You could even end up spending more on alcohol than food and accommodation combined. Instead of pubs, save money by buying alcohol from supermarkets and convenience stores like 7-11. Drink your inexpensive purchases at your hotel. If this sounds a tad too dreary, have your pints at hawker centers or kopi-tiams instead. 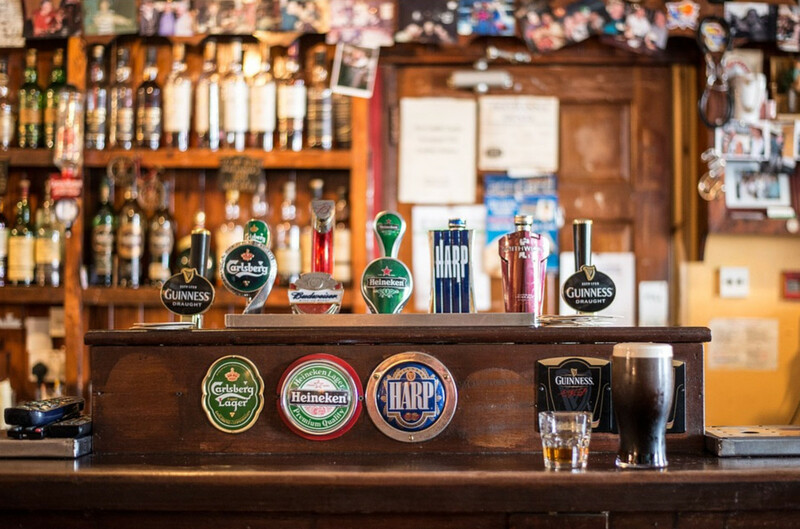 These places charge far lesser than pubs, and you could use the opportunity to sample some local cuisine too. Do note, though, that Singapore introduced rather draconian liquor control law in 2015. Drinking is banned in all public places from 10.30 pm to 7 am. Retail shops are also not allowed to sell takeaway alcohol from 10.30 pm to 7 am. Don’t be caught drinking in public during these hours. 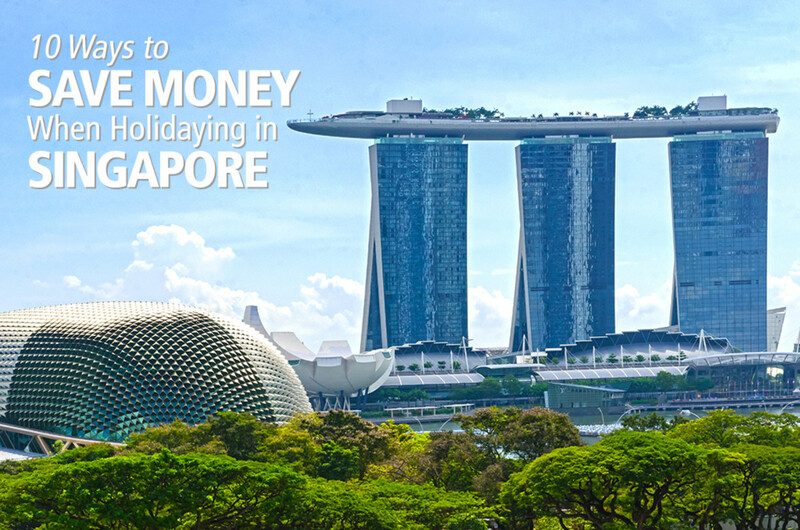 Unfortunately, drinking and smoking are the easiest ways to bust a travel budget when visiting Singapore. With the exception of Great Britain, I do not know of any country that charges as much for cigarettes as Singapore. Worse, anti-smoking measures make it illegal to bring cigarettes into the country. This means you can’t even buy from duty-free shops before entering Singapore. If caught, you would be made to pay local taxes for all purchases. To put it in another way, there’s really no way around Singapore’s smoking laws other than to reduce your intake. Consider this perhaps as gentle encouragement for you to quit. Also, note that Singapore has banned smoking in many places. At open-air eateries, one can only smoke at designated areas. It is also illegal to smoke at bus stops or within a certain distance of a building entrance. If caught, you will be fined heftily, which is surely the fastest way to deplete your travel budget. You might be excused after much embarrassing pleading with the officer, but do you really want to do that during a holiday? Food and beverage workers in Singapore would hate me for highlighting this, but the truth remains that tipping is not necessary in the city-state. Most restaurants and cafes automatically charge an additional 10 percent service fee with the final bill, in addition to an 8 percent tax. While you might occasionally receive dirty looks for not leaving an extra dime, trust me, nobody is going to fault you for not tipping, or for wanting to save money for other expenditures. The simple fact is that you have already “tipped” with the mandatory service fee. Note that not all F&B outlets charge this service fee, though. Hawker centers, food courts, and kopi-tiams do not. Fast food restaurants and beverage outlets like Starbucks also don’t. For these, it remains the culture not to tip. If you still choose to tip during your Singapore holiday, service personnel would be grateful. But it is out of surprise, not expectation. No one would condemn you for not tipping. At least, not openly. 8. Enjoy Free Attractions, and Attend Free Performances and Events During Your Singapore Holiday. 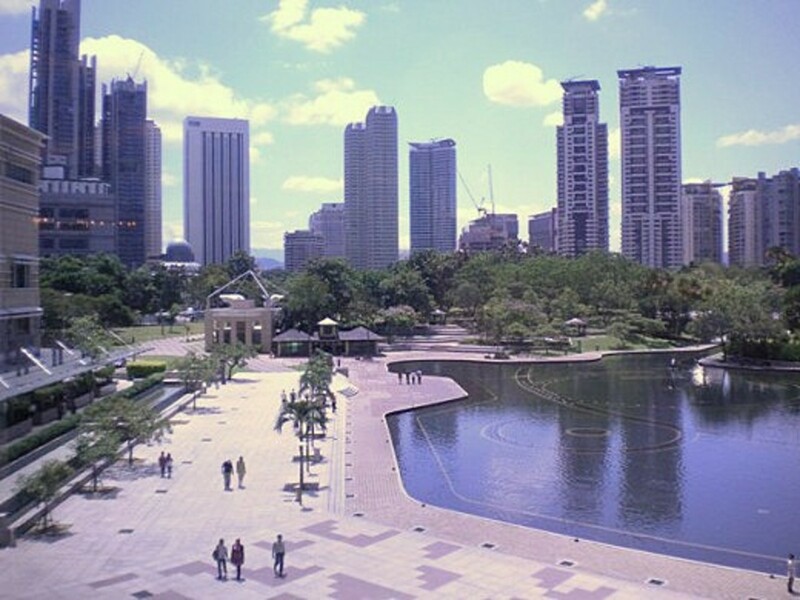 The short of it, there are many, many free attractions in Singapore for visitors with tight travel budgets. 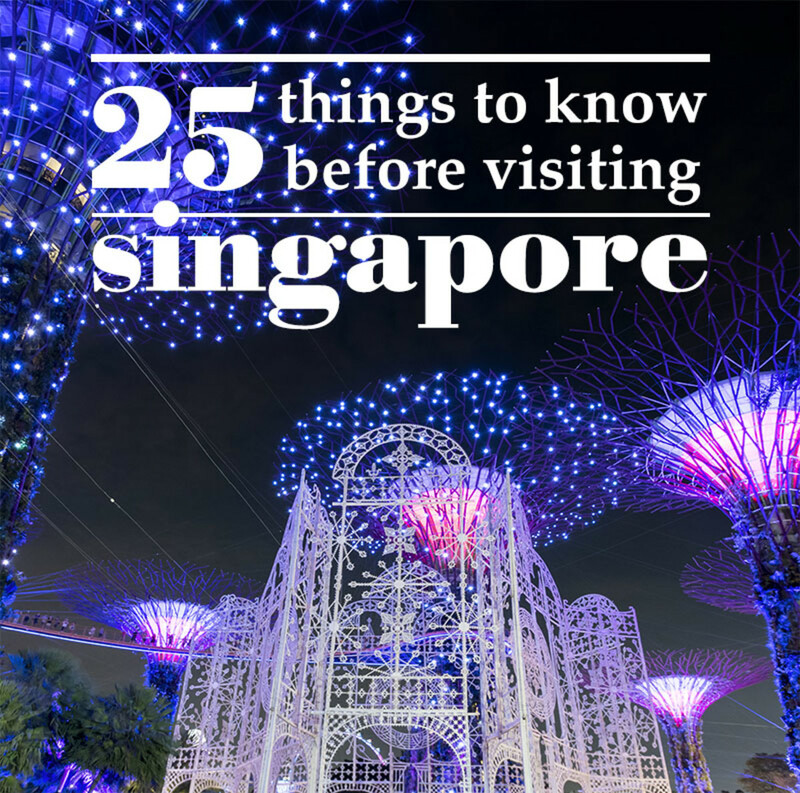 First and foremost is the Singapore Botanic Gardens. This 150-year-old green oasis fringes the town area and was awarded UNESCO World Heritage status in 2015. On weekends, there are often free music performances too. These performances are very popular with locals and expatriates, and are great entertainment for picnics. 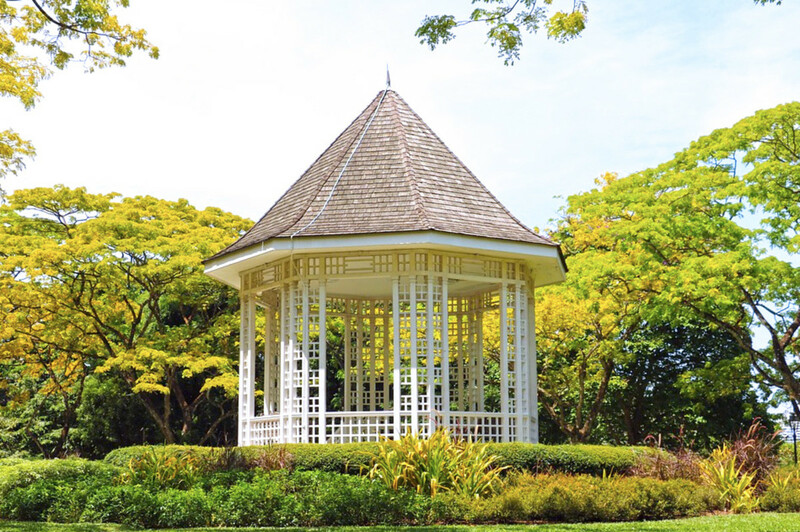 Other than the Botanic Gardens, there are many other well-maintained, free-to-enter parks in Singapore. Bishan Park and Punggol Waterway are two sprawling green belts equipped with eateries and recreational facilities. For visitors keen on the beach, East Coast Parkway is a good location to check out. Cycling, jogging, and seafood indulgence have been popular at this beachfront for decades. 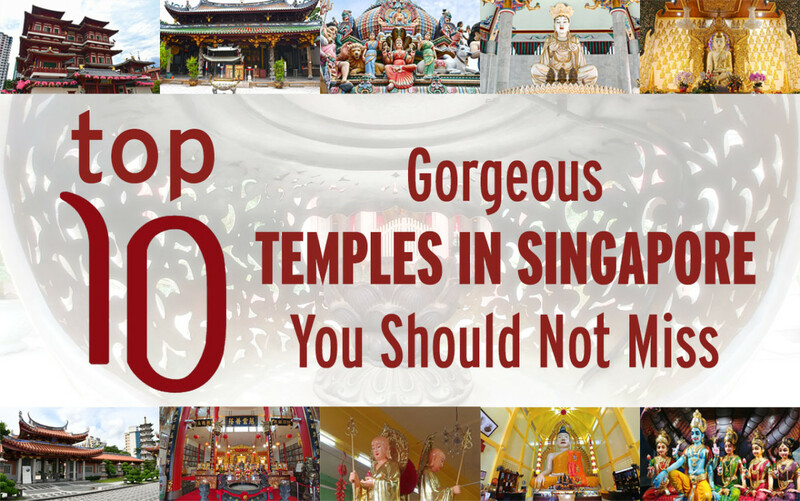 Outside of parks, almost all Chinese and Hindu temples, and churches in Singapore, are free to enter. The huge Kong Meng San Phor Kark See Monastery in the heart of the country is a magnificent gathering of Asian Chinese architectural styles. St. Andrew’s Cathedral in the civil district is a spectacular Neo-Gothic masterpiece, especially atmospheric during evening time. Should your tastes gear towards the macabre, take the MRT to the 80-year-old Haw Par Villa. This statue park is easily the weirdest of its kind in Asia. It is also completely free. 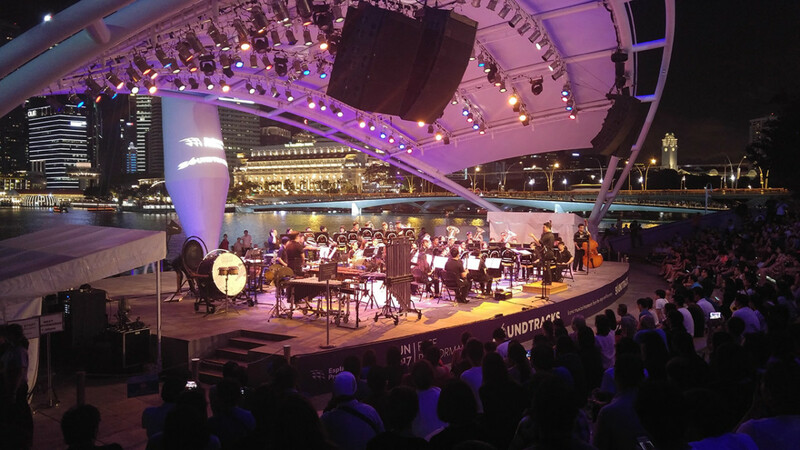 Finally, the iconic Esplanade – Theatres on the Bay regularly offers free indoor and outdoor performances. Relax at one of these performances, then stroll over to Marina Bay Sands for the nightly light and water show. Called Spectra, this show is set against the Singaporean skyline and is free for all. Spectra would also likely be the most impressive free performance you’d enjoy during your Singapore holiday. Singapore Botanic Gardens. A must-visit free UNESCO site perfect for visitors looking to save money during their Singapore holiday. 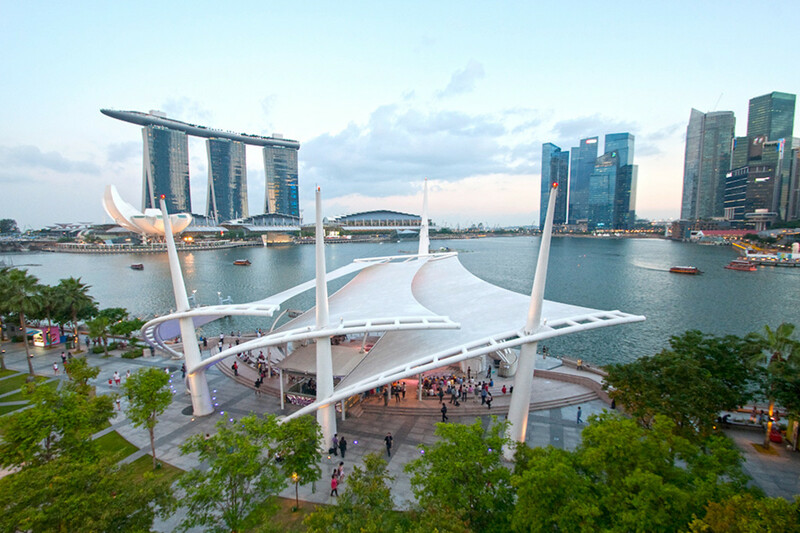 The outdoor theare of Esplanade - Theatres on the Bay. Weekend music performance at Esplanade Outdoor Theatre. Spectra: The Free Light and Water Show at Marina Bay Sands, Singapore. The main supermarket chains in Singapore are NTUC Fairprice, Sheng Siong, and Cold Storage. In the town area, Cold Storage dominates the market. In the residential areas, NTUC Fairprice and Sheng Siong compete intensely for local business. All three chains offer an astonishing variety of affordable goods. They also have daily special offers and are always located near MRT stations. In other words, should you need toiletries, tidbits, beer, or even travel necessities like travel adapters, don’t get them from the hotel shop. Save money by visiting one of these supermarkets during the day. At the same time, many supermarkets outside of the town area are located in “neighborhood centers.” These are the lively hearts of residential districts and are full of malls and street shops and the above-mentioned kopi-tiams and hawker centers. While prices for goods wouldn’t be dramatically lower than those in the town area, you might still find some bargains for clothes, watches, etc. Most personalized services, such as hairdressing, are also much cheaper at such neighborhood centers. Last but not least, don’t forget to check out Daiso, which has outlets all over Singapore. This Japanese budget retail chain sells everything for two dollars and is stocked full of foodstuffs, daily products, oddities, and even clothes. Visiting a Daiso store could itself be an adventure if only to be dazzled by its many colorful and outrageous products. You might find yourself lingering in a store and sorely tempted to buy basket after basket of those fanciful products. This is a temptation many Singaporean Daiso fans are familiar with. A smaller neighborhood center at evening time. Lots of bargains can be found at such places. What About Chinatown and Bugis Street? Tourist haunts like Chinatown and Bugis Street do offer many bargains. However, their goods tend to be souvenirs and clothes. For other products and attractively-priced personalized services, head to the neighborhood centers. Sales happen throughout the year in Singapore, with the Great Singapore Sale being the grandest. This usually takes place in the middle of the year from June to August. Also, as like many other countries, post festive periods are full of clearance sales. Outrageous bargains are often available during these. I once bought a jacket at a quarter of the price it was originally retailed for after the holiday. 10. Be Thoroughly Informed If You Intend to Buy Electronic or It Products. This is more of a warning rather than a budget travel tip. As a Singaporean, it also shames me to say this. Over the last few years, we had several high-profile scams involving electronic and telco products. All cases involved tourists and the bulk of them took place within the unholy trinity of People’s Park Complex, Lucky Plaza, and Sim Lim Square. A common scam involves tourists being forced to buy costly, “compulsory” warranties with their purchases. Warranties that could easily cost more than twice the product. There are several new and aggressive measures to counter these unscrupulous merchants. For example, at People’s Park Complex, there are self-service kiosks to report scams. Still, crime always finds a way, doesn’t it? If you must buy such products during your Singapore holiday, be well-informed of general prices before entering a store. Also, never succumb to bullying tactics. Do not permit the merchant to lower the shutters and lock you within the store too. If threatened, leave immediately or call 999. Singapore greatly cherishes its clean image. Both the government and Singaporeans despise such behavior towards visitors. We will be on your side if you are threatened by such scams. Consumer electronics exhibitions are hugely popular in Singapore, with the most popular ones being IT Show, PC Show, SITEX, and COMEX. Search online for specific dates and venues. A word of advice, if you intend to go, be ready for crowds. Huge crowds. Hey Darren, glad to be of help. Just remember the big three travel budget killers here. Ciggies, alcohol, and excessive taxi taking. This is Amazing! Been planning to go to SG and I think this would help me big time. Will surely save this. Looking forward to more helpful posts. I hope you do come some day! Incidentally, I just got back from Tokyo three days ago. A soft pack of ciggies in SG costs near twice of a Mevius pack in Tokyo. A can of beer here, sold at the supermarket, is roughly the same as that in Tokyo. However, pubs and bars would charge at least SGD 10/- (Around 800 yen) for a glass. There was a lot I didn't know about Singapore written here. Some things are similar to Tokyo, where I live, such as taking the subway, but I had no idea alcohol and cigarettes were expensive. That being said, I'm from the UK, so I'm used to tobacco being extortionate. I heard Singapore is extremely clean. I'd like to visit one day, and I'll keep these tips in mind, especially the one about alcohol being expensive. Hope you enjoy your time here, Gajraj. Thanks a ton. Will be in Singapore in 5 days. You're welcome, vermashraddha. Hope you enjoy your time in SG. Glad to be of help, Naveen.